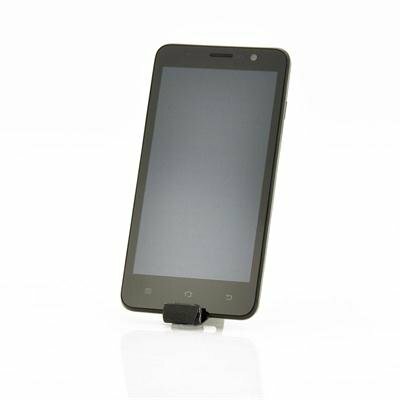 Successfully Added Quad Core 5 Inch Android 4.2 Phone "Freelander I30" - 1280x720 293 PPI IPS Screen, 1.2 GHz CPU to your Shopping Cart. Quad Core 5 Inch Android 4.2 Phone with a marvelous 1280x720 293 PPI IPS Screen and a 1.2 GHz CPU is a modern and slick designed phone. 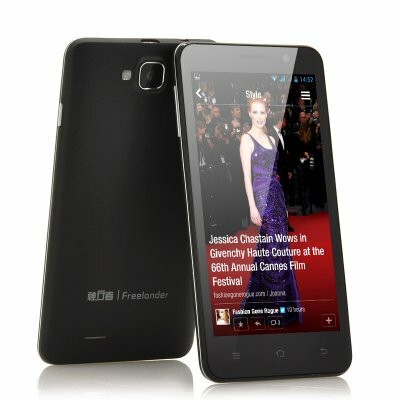 Conqueror the lands with this new entry from Chinavasion, a 5 inch phone with a 1.2GHz CPU known as the “Freelander I30”. Quad Core is the latest feature to have in any smart phone, due to making the phone faster and run applications more efficiency as having more cores enables them to tackle more tasks simultaneously. Having a 5 inch screen allows this phone to be conveniently carried around and held while have a large enough screen to view videos or read any PDF and TXT files clearly. The “Freelandser I30” has a resolution of 1280x720 with 293 PPI (Pixels Per Inch) means that the pixels are packed so close together that you’re eyes won’t even be able to discern individual pixels from a normal viewing distance. Added to this splendor, the "Freelander I30" also comes packaged with 7 different built in sensors (Proximity, Accelerometer, Light, Magnetic Field, Gravity, Gyroscope, Linear Acceleration) which is way more than your typical Android phone and allows you to do even more with the apps you download. An Android 4.2 Jelly Bean is the operating system that comes pre-installed on the “Freelander I30”. Android 4.2 is one of the most modern and fastest operating systems there are and with Google Play store, the user has access to over 700,000 applications to download from. A combination of high resolution and Android will make using applications like Facebook and Youtube an absolute pleasure. For the photographers at heart this camera comes with a 2 megapixel front-facing camera and an impressive 8 megapixel camera, therefore you can take photos in details and save them on the “Freelander I30” phone’s 4GB of internal memory. With 3G tethering, Bluetooth connectivity and GPS as well as a vast selection of languages to choose from, the “Freelander I30” phone is loaded with extras. Take a new look at the development of quad core smartphones with this sleek designed “Freelander I30” Android phone. This product is in stock and can be dispatched within 24 hours of ordering with a 12 month warranty. Brought to you by the leaders in wholesale electronics and Android phones, Chinavasion. Spedito entro 1 giorno e consegnato in Italia da DHL in altri due; da evitare la normale posta aerea che a fronte di un risparmio di solo 3EUR impiega un mese. Circa 20EUR di dogana. Eccellente telefono con ottima qualità foto-video e grande schermo adattissimo per la visione di film in mobilità. Buona dotazione di applicazioni (e col market di Android non c'è problema). Grande rapidità di refresh video senza alcuno sfarfallio. Nessun problema di connettività 3G e WiFi. Non ancora collaudato con la seconda SIM inserita. Cavi e alimentatore USB standard, nessun problema di reperimento anche in Italia. A livello dei migliori concorrenti di gran marca, prezzo eccezionalmente basso. Ben assemblato, ma sembra un po' delicato. Non si trova una cover adatta, e ce ne sarebbe bisogno, date le dimensioni dello schermo. at last phone that i buy the box was open and the telefone was full of fotos from a chinnese guy.